"Erica Lindsay's Dreamer is tremendously impressive. It's interesting to hear a young player whose primary influence is Dexter Gordon's rugged swing and not the still domiant Coltrane." As has happened every once in a while since jazz began, there have recently been premature obituaries for the music. Too many of the newer players, it is said, are too far removed from the swinging soul of jazz. Their emotions sound computerized. It's true of some players, but not of all the newer voices. The pleasure of this first album--indeed, the first recorded appearance--of Erica Lindsay is that she plays with such emotional spontaneity that she is very much in the tradition of those jazzmakers who were so evidently taking joy in surprising themselves each night, each song, each bar. Erica is protean. That is, she composes, she arranges (all but one of the arrangements here are hers), and she plays tenor, soprano, flute, and clarinet. On this album her instrument was the tenor. She has a distinctive clarity and fullness of sound as well as an acute sense of dynamics. Her compositions are also characterized by an invigorating clarity of form and direction. That is, unlike some of the newer jazz composers, she does not become possessed by complexity for its own arid sake. As in her playing, she converses in her compositions. They are not obstacle courses for the listener. Erica Lindsay was born in San Francisco in 1955. Her early years were spent in Europe where her parents were teachers in the American school system. She began playing clarinet in high school, then alto and tenor; and of particular importance to her future, she was also studying with Mal Waldron during this period. In 1973, she studied for a year at the Berklee School of Music in Boston and then returned to Europe where her life in music became a professional vocation as she toured with her own quartet and also worked as a composer, arranger and soloist. 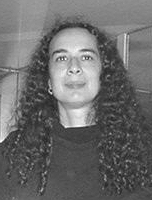 Erica has been in New York since 1980, composing for television (the theme for Tales from The Dark Side), video and ballet. And as a saxophonist she has worked with, among others, Melba Liston, Clifford Jordan, Ted Curson, and McCoy Tyner. There have also been engagements with her own quartet and quintet. On this album, five of the six tunes are originals by Erica, and I asked her about her influences as a composer. The primary one, it turned out, was Mal Waldron. "I was fifteen when I studied with him," she said, "and he was a very strong influence. He showed me a whole way of approaching composition, a way in which anything goes. For instance, I never count the bars on my tunes, so sometimes they come out to 31 or 68 or whatever. So, from Mal, I got a sense of freedom. That way composition becomes a feeling process, not a thought process. And as a result of that, every song has its own feeling tone, and getting into the essence of that particular feeling tone is the fun of playing on that tune." I asked about influences on her playing. She started out particularly digging the strong, powerful swingers on tenor: Gene Ammons, Johnny Griffin, Dexter Gordon. But at the same time, she was also listening to the shadings of Wayne Shorter and Miles Davis, And her major influence has been John Coltrane. "Especially," Erica says, "in terms of the ensemble playing of his groups in in the late '60's. What impressed me was that every player was equal. Every player was putting out--not just the soloist. That's why I picked these players for my album. They gave me that. They were all putting out. And Coltrane also influenced me in terms of the spiritual depth of his music." A selected discography of Erica Lindsay albums.  Door of the Cage, 1994, Soulnote.  Marionettes on a High Wire, 2000, OmniTone.